Development seen from a more holistic perspective looks beyond the expansion of material means and considers the enrichment of people's lives. The arts are an indispensable asset in taking a comprehensive approach toward the improvement of lives. Incorporating aspects of international trade, education, sustainability, gender, mental health and social inclusion, The Creative Wealth of Nations demonstrates the diverse impact of applying the arts in development to promote meaningful economic and social progress. 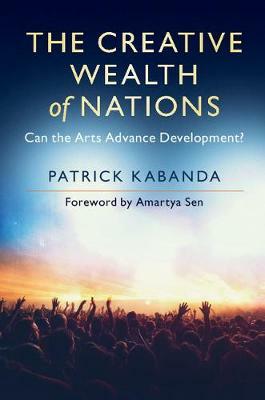 Patrick Kabanda explores a counterintuitive and largely invisible creative economy: whilst many artists struggle to make ends meet, the arts can also be a promising engine for economic growth. If nations can fully engage their creative wealth manifested in the arts, they are likely to reap major monetary and nonmonetary benefits from their cultural sector. Drawing from his own experience of the support music provided growing up amidst political and economic turmoil in Uganda, Kabanda shows us the benefits of an arts-inclusive approach to development in Africa, and beyond.